I took part in the London public sector rally on 30 November 2011. 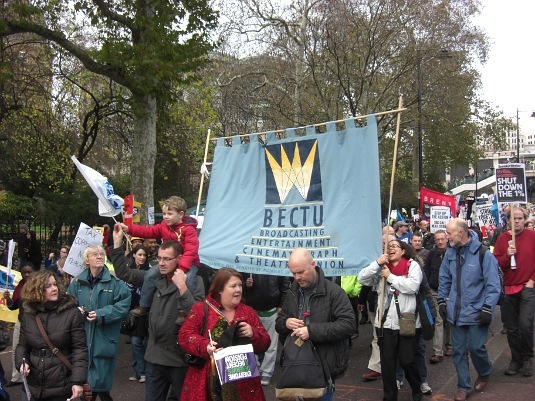 Pictured is the BECTU banner. Forget HD – I want 3D!